Plymouth Nursery has been installing beautiful landscapes for over 40 years. 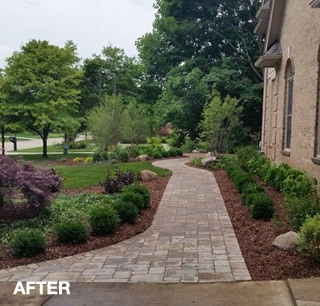 From the small renovations to the larger custom project, our team of friendly, skilled craftsman will make your landscape come to life. 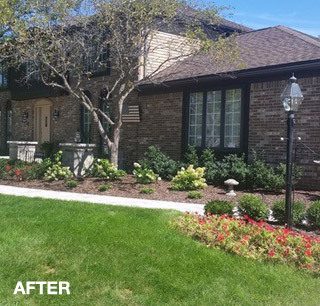 New construction or landscape renovations, our design department has over 40 years of experience. College educated and field trained. Let us help you design the outdoor living space you desire. 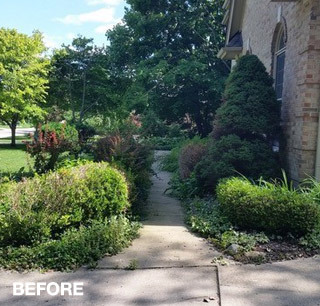 From a small perennial garden to a master landscape project, we will plan your project for you. Our service includes on-site consultations, designs, estimates and expert installations. 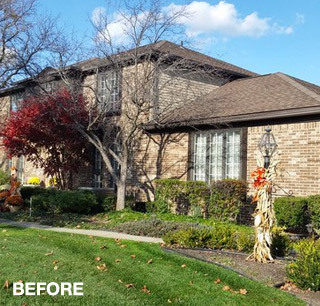 Every Client deserves a unique solution to their landscape needs. Currently Booking Spring 2019 Installations! Sign Up for Our Service! or fill out our online form and we'll contact you. "Great work, Thanks! See you in the spring." "I would recommend Plymouth Nursery to anyone!" "I was especially impressed with how diligently the entire team worked. They worked well together too! We are enjoying our new patio and pleasing design." William A. Gosling -"Things look great! Crew was hard working and business like"
"Exceptional Service! Wonderful Job! It turned out better than I could imagine!" "The team did a great job. I would recommend Plymouth Nursery to anyone who needs patio work done..."
"The foreman and crew seemed very concerned that we were satisfied with the choice and placement of the plants. They all were extremely pleasant." 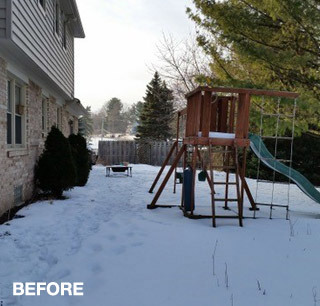 "The landscape crew worked incredibly hard to make sure we very happy with each aspect of the job. I cannot say enough good things about their effort." "Adan was very nice. He was polite and very professional as was the entire crew." "The crew was extremely prompt and should be commended on their desire to satisfy the customer"
"I am writing to compliment Adan on his creative accomplishment! My front yard is the work of someone who brings a painter's aesthetic eye to his work. I am more than pleased with his work. Thank you." Our professional Design Service is available for customers who prefer that Plymouth Nursery manage their landscaping project from design through installation. 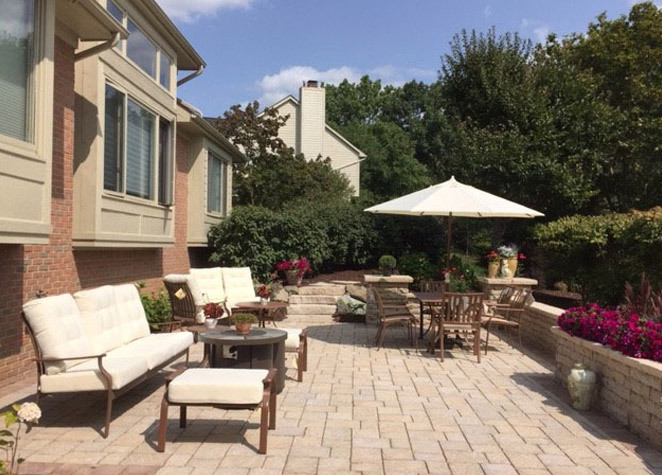 An experienced Designer will visit your home or business to discuss your landscape and hardscape preferences. The Designer will request a copy of your plot plan or mortgage survey to determine dimensions and property lines. Additional measurements will be taken to ensure an accurate, scaled Design unique to your home or business. A $250 deposit is required before a Design will be initiated. This deposit will be credited toward the cost of installation work performed by Plymouth Nursery. The completed Design, cost estimate, contract, and schedule will be formally reviewed with you at the Nursery. If you wish to handle the installation yourself, a copy of the final approved Design will be provided for an additional $250 (total $500). On receipt of your 50% deposit, Plymouth Nursery will incorporate your landscaping project into our installation schedule and will provide a copy of the Design for your records. During the peak season (spring), wait times for Design consultation may be longer than usual. Landscape installation schedules are established on a first come first served basis and may be subject to weather-related delays. Thank you for choosing Plymouth Nursery for your landscaping needs. Closed December 30. Reopening March 1st as English Gardens Plymouth Nursery.